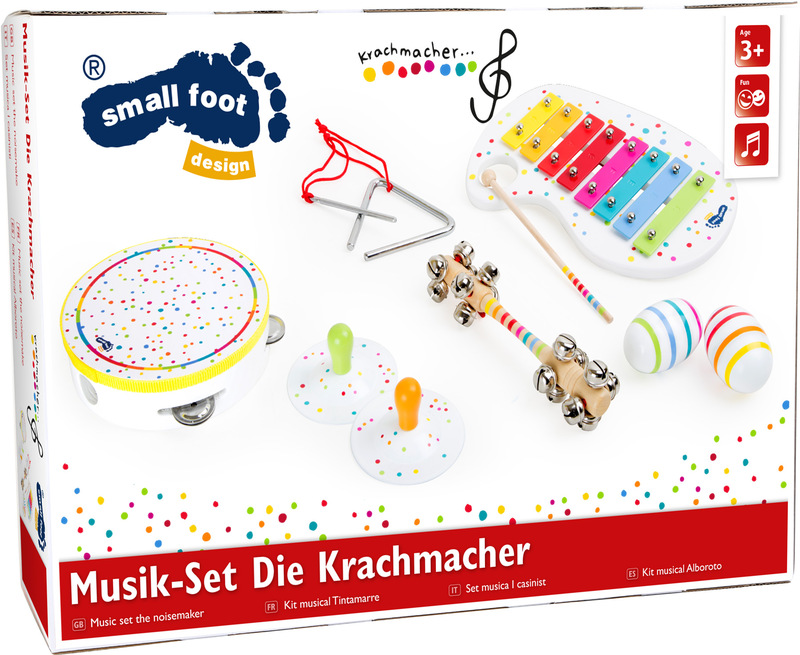 This "Sound" set is ideal for a musical performance in the playroom. Six different instruments with individual sounds. With a rattle, bells, xylophone, tambourine and triangle, every member of the band will find the right instrument.